A fully equipped machining center is located at the Saint Cloud, Florida facility. The center is under the direction of a 25-year master machinist and is fully operational in support of our advanced packaging requirements for quick-turn prototypes, specialty items and low-to-medium quantity production runs. The machining center provides a vital role in meeting our “design for manufacturing” objective. Inputs from the center regarding manufacturing methods and cost effective production recommendations are discussed early in the design phase. Prototypes are manufactured on the same day in support of engineering simulations and fit-checks. Raw material (aluminum) is inventoried at all times in support of expediting. 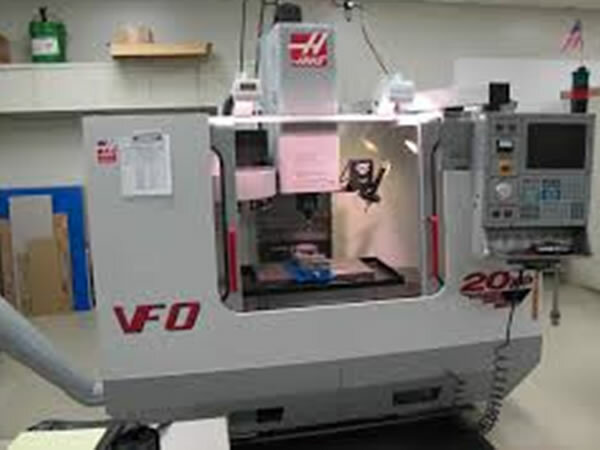 The center contains a HAAS VF0E VMC (Vertical Machining Center) supporting a 30” x 16” x 16” (axis X, Y & Z) 3D travel table. SolidWorks files are imported and the Mecsoft Corporation Visual CAM tool is used to program the VMC. A Baron XL CNC configured with a 16” x 8” x 5” travel table is utilized as well and operates in the same manner. A variety of other equipment is available to round out the machining center to include a hydraulic pemsetter, glass beading machine, band-saw, cut-off saw, tapping arm, and a hydraulic press. 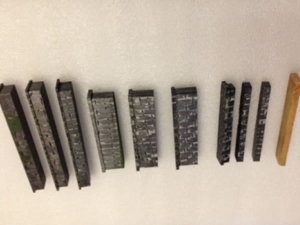 The machining center has recently been expanded to incorporate the use of thermally-conductive and composite Carbon Fiber (CF) materials now being utilized in our enclosure and chassis products.